1. A fabulous cookie cutter set to make your next batch of tasty treats so much better. The 26-piece set includes eight cutters, 12 icing bags, four decorating tips, one plastic coupler and one storage box. Get it from Williams Sonoma for $24.95. 2. A set of storage trunks that’ll get your space all kinds of organized without the help of ANY spells. The set includes one storage trunk, one sequin storage cube, two plain storage cubes, and one pop-up hamper. Get it from Walmart for $38.46. 3. A coloring book packed with with pretty illustrations you’ll want to bring to life immediately so you can color the stress away. Get it from Amazon for $12.27+. 4. 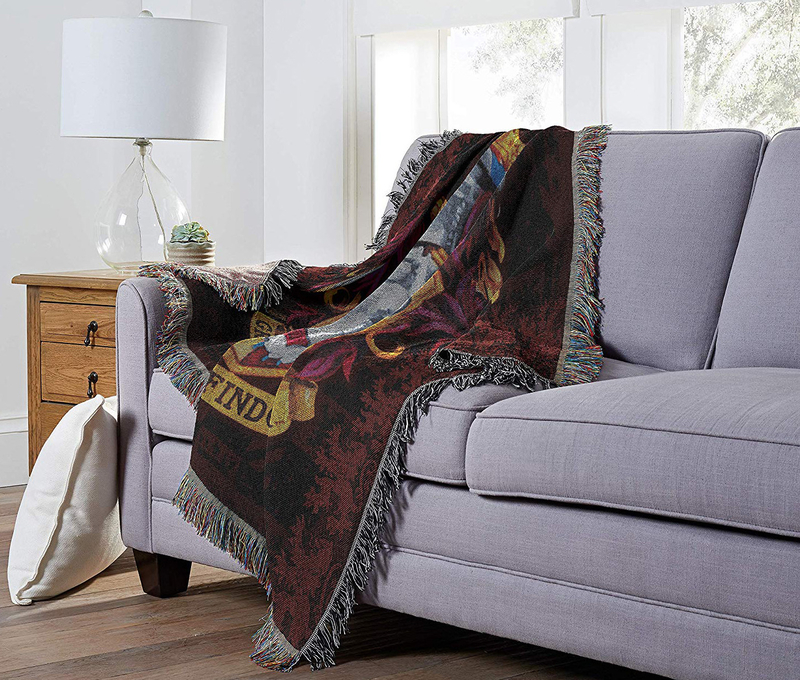 A shimmering throw pillow — which features a lightning bolt and glasses on one side and Platform 9¾ on the other — to add some serious Potter style to your space. 5. A pretty set of appetizer plates ALL your guests will swear by during your next dinner party. The set includes four plates. Get them from Pottery Barn for $24.50. 6. A wand pen and bookmark set so you can keep your spot and take notes while re-reading your fave HP for the 100th time. 7. A set of earrings to bring a little extra something to your ensemble before you head out the door. The set includes five pairs of earrings. Get them from Amazon for $17.72. 8. A Gryffindor spatula set so you can add a little magic to your next cooking session. The set includes two mini silicone spatulas, one medium silicone spatula, and one flexible nylon spatula. All spatulas are heat-resistant and safe for use with nonstick cookware, bakeware, and kitchen electrics. 9. A hand-poured Highland Bluff Studio soy candle which’ll bring the lovely rum, spice, and vanilla scent of butter beer into your home for those moments the the air in your house isn't so pleasant. 10. A lined journal to jot down any notes — or new spells — you don’t want to forget. 11. A box of Bertie Bott’s beans so you’ll have a mostly tasty sweet snack to choose from whenever your sweet tooth hits. Get it from Amazon for $3.13. 12. 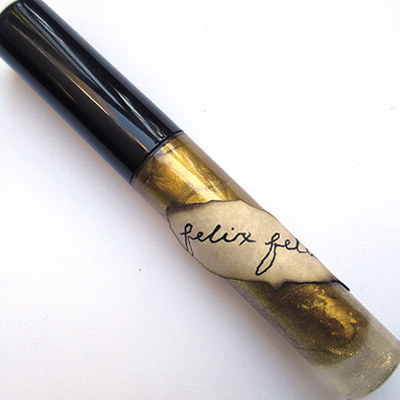 A gorgeous Shiro Cosmetics Felix Felicis lippie that’ll bring all the good luck to your makeup collection and offer you a new option outside your go-to lip color. Get it from Shiro Cosmetics for $2+ (available in two sizes). 13. A set of Harry Potter Uno cards for a new party game option your crew will adore. Get it from Amazon for $9.73. 14. A set of makeup brushes so you can bring your makeup looks to life while repping all the iconic Hogwarts houses. This set includes an eye shadow brush, a powder brush, a detail brush, an eyebrow brush, a nose brush, a silicone brush cleaner mat, and a velvet bag. 15. A snitch key ring that’ll have you ready to hit the field for a game of Quidditch. 16. A pretty quill set — which includes a feather dip pen, black ink, and a Hogwarts acceptance letter — to take your writing to next levels. 17. A limited edition Moleskine planner for bringing just a little more light AND organization into your daily life. The planner is formatted to show the week’s appointments on the left with a full lined page for notes, to-do lists, and ideas on the right. Get it from Amazon for $11.77. 18. A cozy pair of slippers to keep your feet nice and warm as you tip toe around in your invisible cloak. Get them from ThinkGeek for $39.99 (available in four styles). 19. A golden snitch clock that’ll be the perfect alarm you won't be able to ignore. The clock includes one 1.5V button cell battery. It includes two. The hardware for the clock includes two screws and a mini screwdriver to assemble the wings. Get it from PBteen for $49. 20. 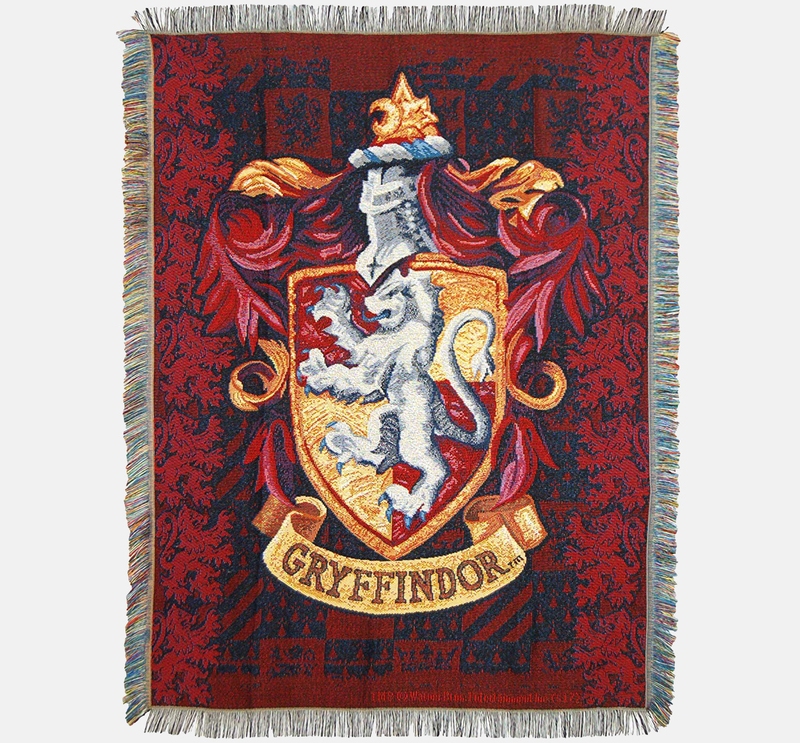 A gorgeous Harry Potter throw for letting everyone know which EPIC house you’re a part of. Get it from Amazon for $21.53+ (available in nine styles). 21. A magical cookbook which’ll feature recipes for yummy wizard treats like rock cakes, Treacle Tart, Molly's Meat Pies and more — sure to make your whole family excited for dinner. Get it from Amazon for $11.97+.